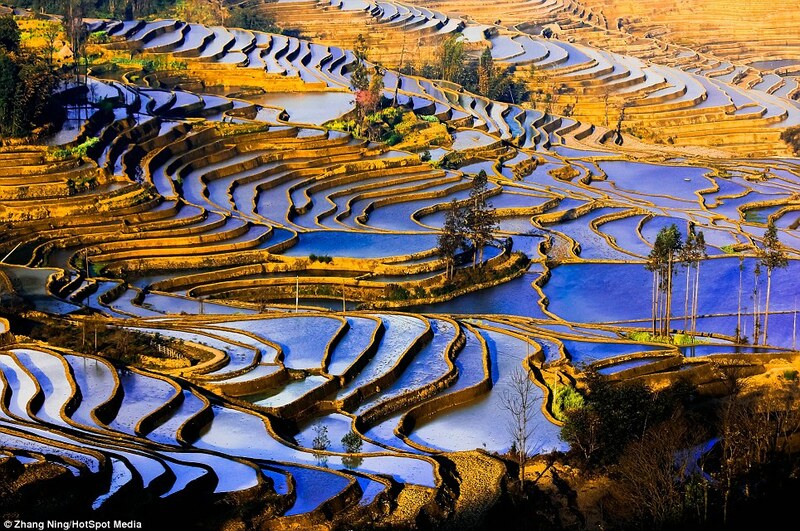 Full of stunning colours and swirling shapes, the furrows on these fields create a mix of mesmerising patterns. 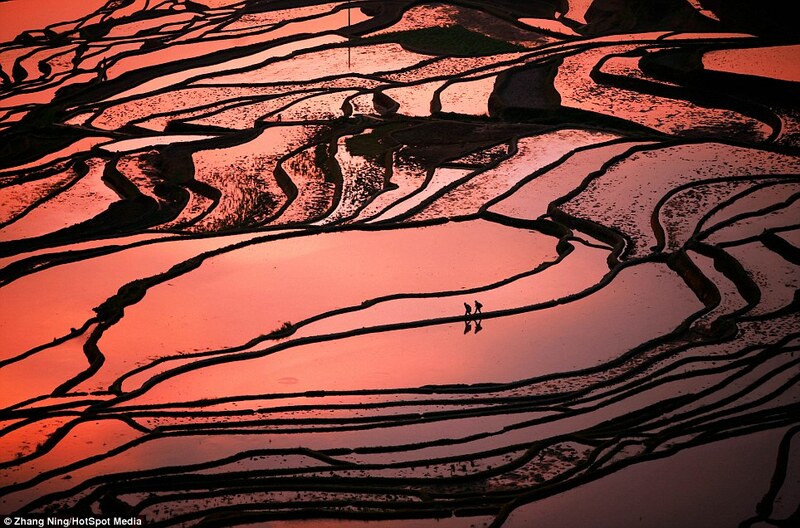 The fascinating photographs were captured by amateur photographer Zhang Ning, 51, during trips across her native China. ‘I am very lucky that my country China is so diverse and large,’ said Zhang Ning, from Dongguan, Guangdong, China. ‘It can provide me with numerous opportunities to shoot different landscapes, cultures, traditions. 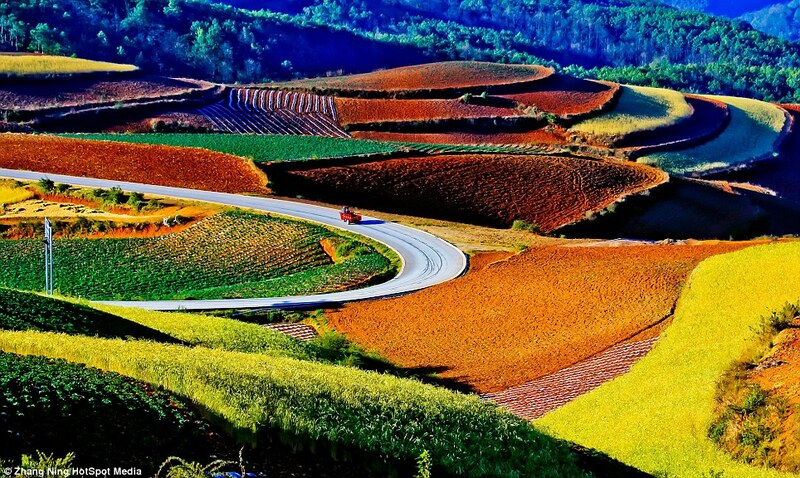 ‘The pictures of these spectacular lines are from my trips in Yunnan, Guangxi, and Guizhou provinces. ‘These three provinces are a paradise for photographers. ‘All of them are rich with stunning geographic landscapes and sceneries, as well as folk cultures, colourful people and different religions. 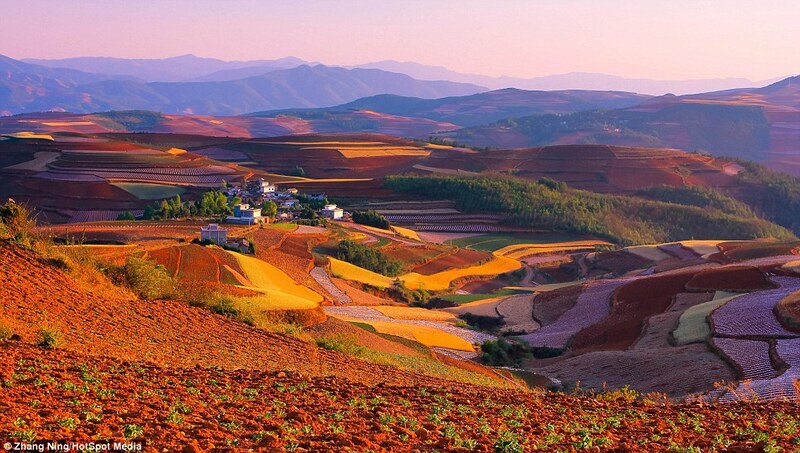 The provinces, located in southwest China, are where the landscapes are very hilly and people have to make the most of the mountains. 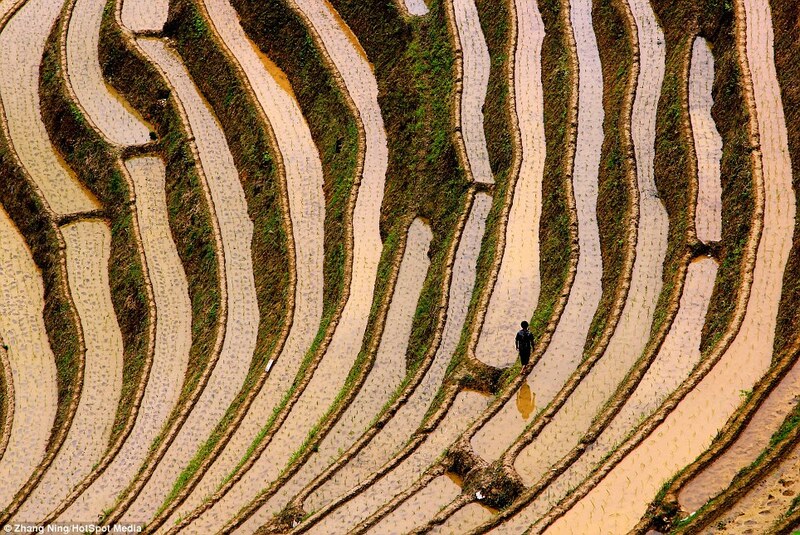 They build these spectacular terraces for more effective farming. 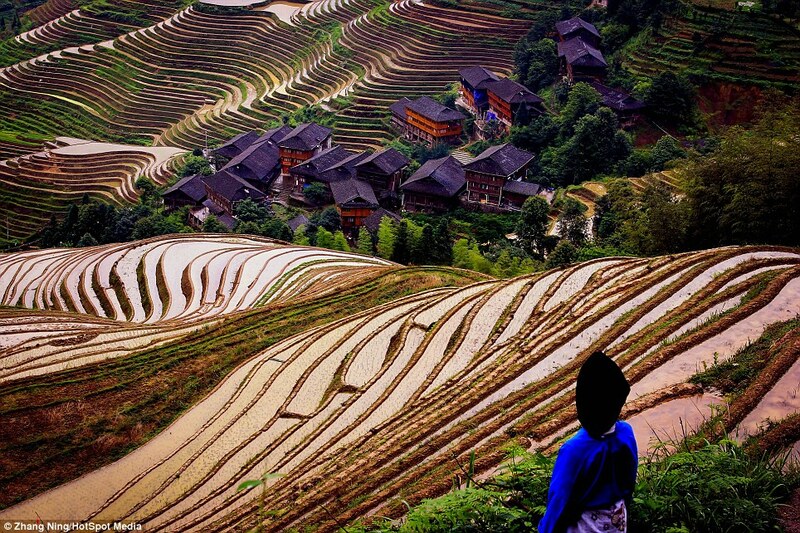 Zhang Ning says: ‘I have been told by someone looking at my pictures that they never realised China was so beautiful. ‘This kind of reaction makes me so happy. ‘I like to take a lot of pictures with a human element in it. ‘I want to show people that behind the romantic beauty, there is a lot of hard work involved in these remarkable patterns. 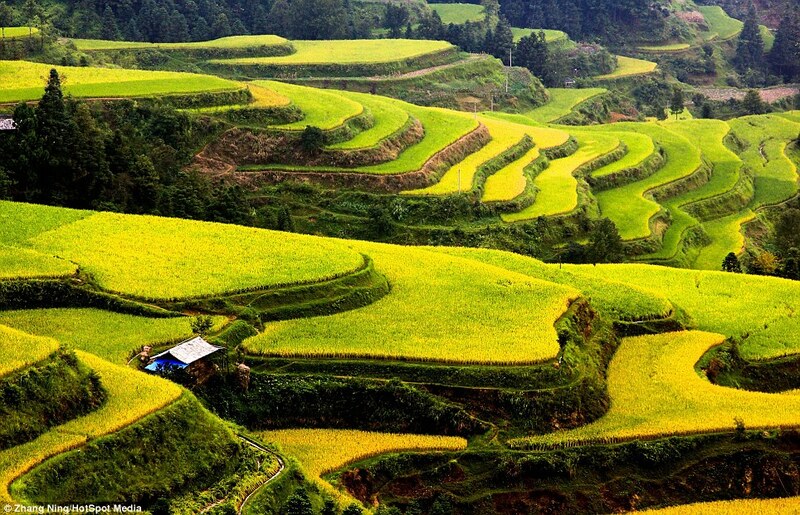 In one spot, there were more than 3,000 layers of rice terraces starting from the foot of the mountain side to the top. 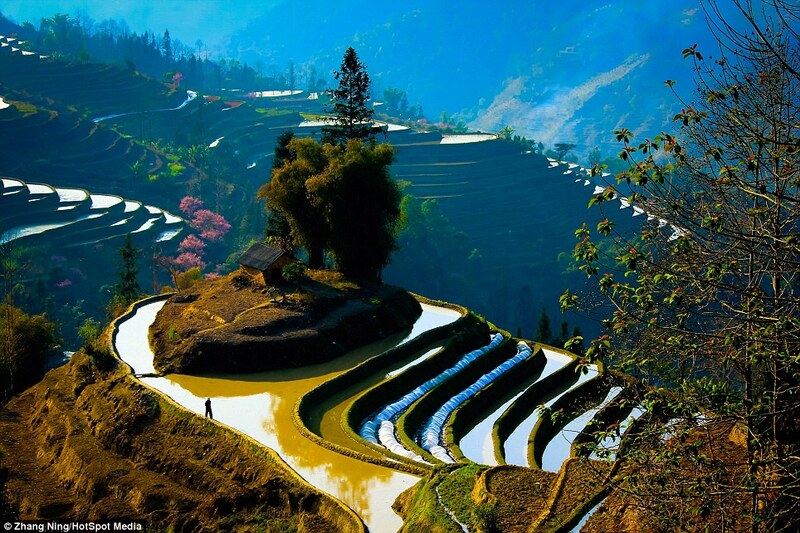 The breathtaking Hani Rice Terraces are found in the mountains above Yuanyang, in south-west China. They are often described as the ‘stairway to heaven’ because of the vast layers of land reaching heights of up to 2000 meters above sea level. The Hani people’s ancestors came to the steep mountain area 2,500 years ago. 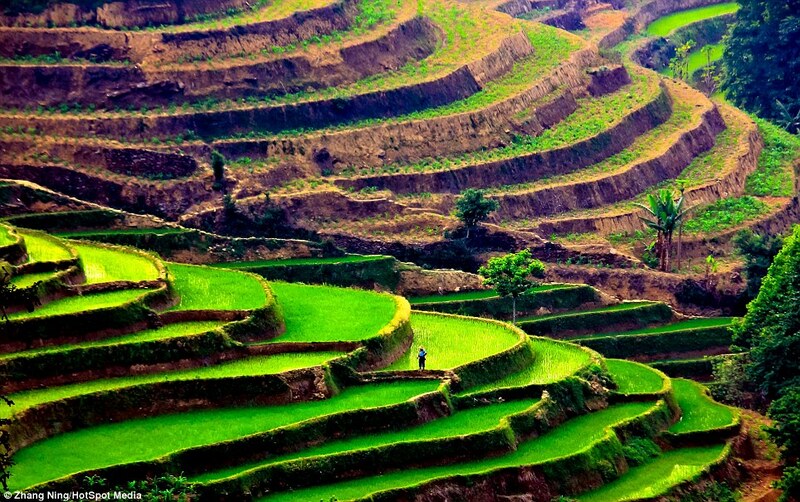 In their struggle against the difficult terrain they transformed the land into terraced rice paddies where they grew rice to make a living. The creativity of the Hani people has not only transformed the area into a fertile area to grow rice but also a place of artistic beauty. In recognition, the Ming Dynasty emperor granted the title of Skillful Sculpture to the Hani people and the fields have been officially acknowledged by UNESCO as a World Cultural and Natural Heritage site. Over quite a long period of time the local people have cultivated a great number of rice species in their farming activities. The site is protected by the laws of the People’s Republic of China and support enough rice for hundreds of thousands of people. 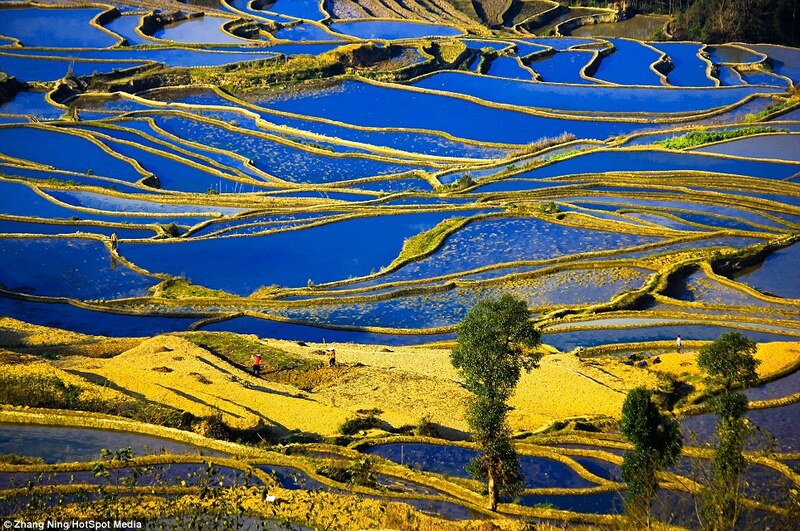 Yuanyang county lies at an altitude ranging from 140 along the Red River up to nearly 3000 metres above sea level in the Ailao mountains and is about 50km north of the border with Vietnam. During the winter to early spring season the entire field is irrigated with spring water from the forest above to rejuvenate and prepare for the next growing season. 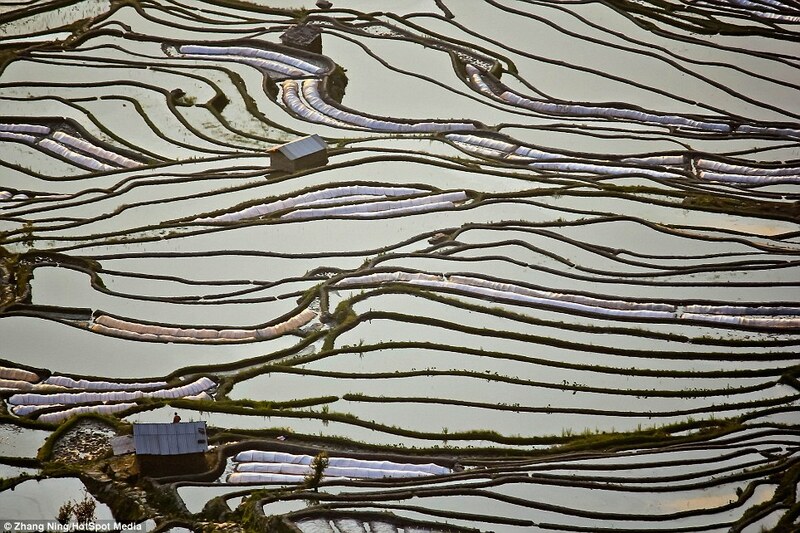 There is only one harvest per year for the Yuanyang Rice Terrace and planting occurs from March to November every year.